The Department of Trade and Industry (DTI) Cebu provincial office will open next month a digital Fabrication Laboratory (FabLab). 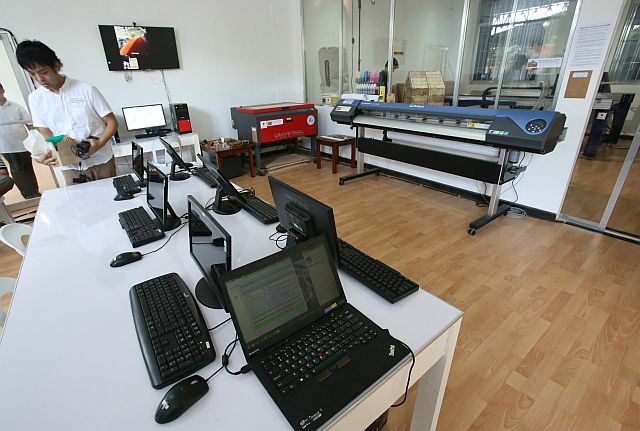 Maria Elena C. Arbon, DTI Cebu provincial director, said this would be the second FabLab in Central Visayas region after the facility that opened in Bohol province in May 2014. The FabLab in Cebu would be part of a planned Innovation Hub at the University of the Philippines Cebu campus. “It aims to inspire people and entrepreneurs to turn their ideas into new products and prototypes by giving them access to a range of advanced digital manufac-turing technology,” Arbon said in a statement. Its inauguration, scheduled for June 9, is among the activities lined up for the Cebu Business Month celebration. Aside from the FabLab, the Innovation Hub would also include a Co-Working Space (CWS), which would be available for lease. The CWS will offer office fixtures, Internet, refreshments and other common office services.